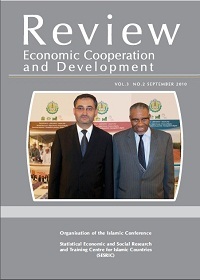 This issue of the Economic Cooperation and Development Review includes an interview with H.E. Dr. Ahmad Mohamed Ali, President of the Islamic Development Bank (IDB) Group. Among other issues of concern to the OIC member countries and Islamic world as a whole, the interview focused on Dr. Ali’s views on the role of the IDB in fostering development and poverty alleviation in the member countries and the potential of the Islamic banking in the aftermath of the global financial and economic crisis of 2008-2009. In addition to some recent SESRIC’s papers and reports, this issue includes a short article titled “Correct measuring for better policies – the Tourism Satellite Account” by the Secretary-General of the United Nations World Tourism Organisation (UNWTO), H.E. Dr. Taleb D. Rifai, in which he presents his views on the Tourism Satellite Account (TSA), which has been developed by the UNWTO with a view to promoting the standardisation, legitimisation and comparability of tourism statistics.